The Beartooth Pass is on US Highway 212 between Red Lodge, Montana and Cooke City, Montana. The highway meanders along the borders of Montana and Wyoming high on the plateau of the Beartooth Mountains and eventually leads right into Yellowstone Park. It’s closed in the winter and occasionally on other days throughout the year, given the right weather conditions. 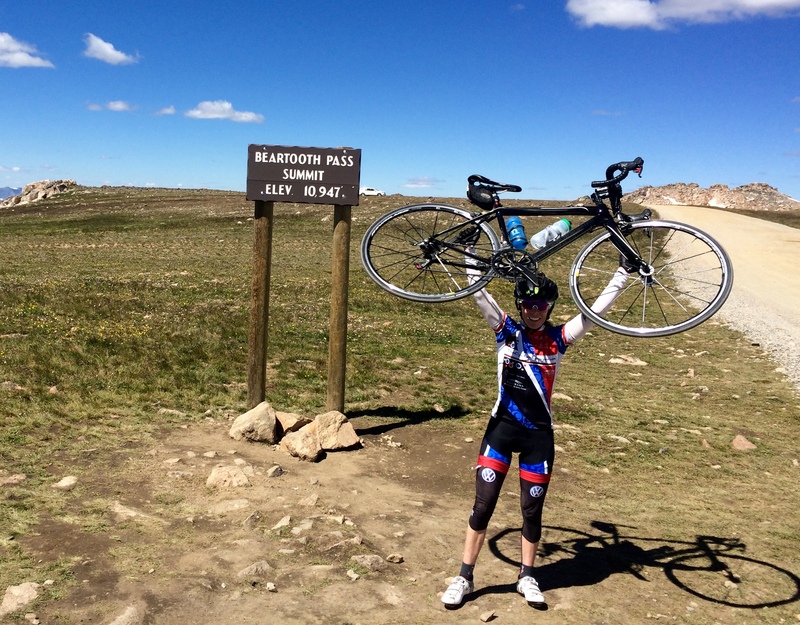 The day before I pedaled up the pass on July 30, it was closed due to snow. 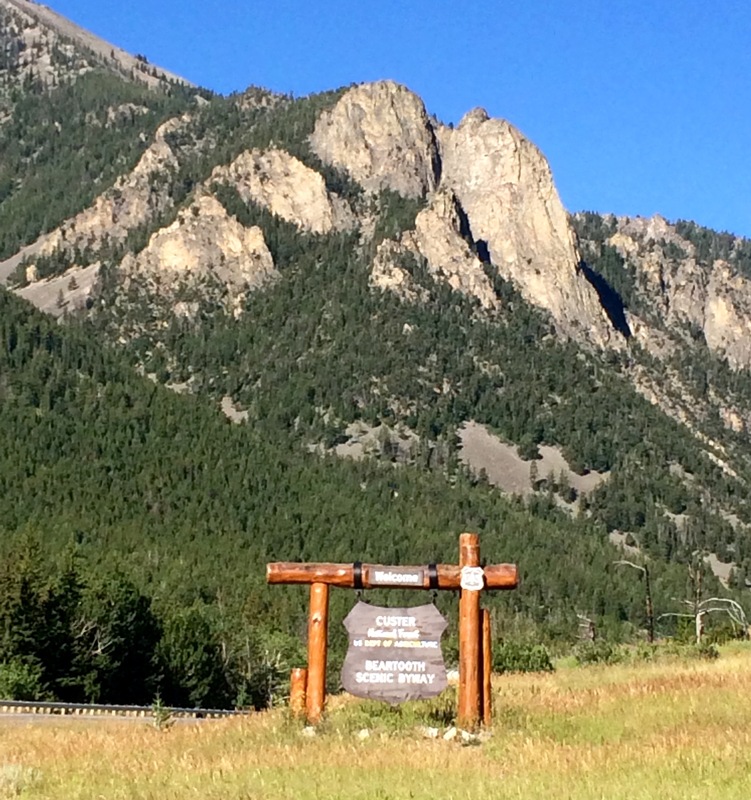 At its summit, this road is the highest elevation highway in both Montana and Wyoming. 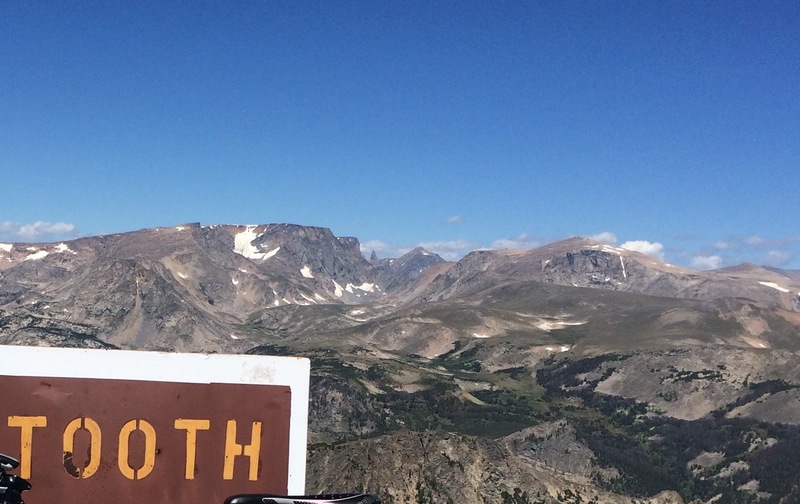 I’ve driven over Beartooth Pass several times on my way to or from Yellowstone Park over the years. The views never disappoint despite the wind and cool temperatures on top of the plateau. 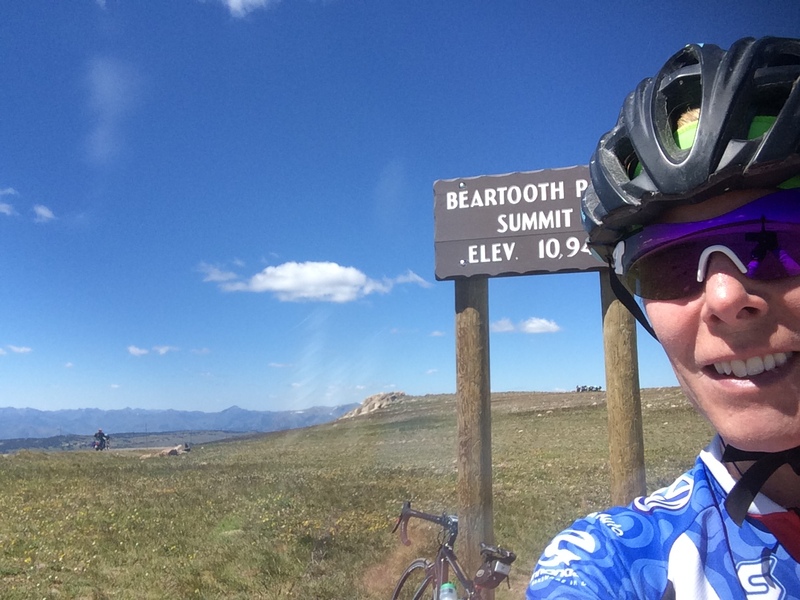 When I started this cycling journey four years ago, riding up Beartooth Pass on my bike was always a thought in the back of my mind. I guess you could say it was on my “ride bucket list”. Yes, cyclists have such a thing as I suppose motorcyclists do as well. 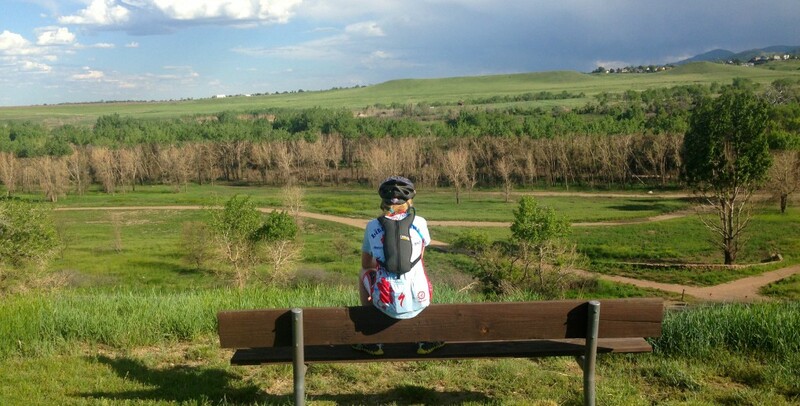 However, each summer when I returned to Montana, there was always some reason why I couldn’t do the ride: last year, I brought a mountain bike, the year before I was too busy… the list goes on. This year I was feeling overwhelmed with all that is involved with moving from one home to another and felt a sense of urgency about returning to Colorado. However, after seeing the weather forecast for the remaining week of my visit, I decided to stay just long enough to fit in the ascent. The sign just outside Red Lodge where I parked nearby and started my ride. approached the mountains I realized there wasn’t a cloud in the sky. I unloaded my bike, suited up, and pedaled away. I had done better research for this ride than my previous ride on Alkali Creek Road and knew that I could expect to pedal for about 25 miles to the summit on a paved road. I could expect the ride to take me approximately 2.5 hours based on the results of other cyclists I had seen on Strava. I also knew that the climb to the summit would be gradual, at about 4% on average. As I pedaled along, traffic was minimal on this beautiful late July day. I saw many more motorcycles than cars. The switchbacks started at nearly 7 miles into the ride. As I approached the scenic overlook turnout, I passed 5 other cyclists, all of whom pulled off into the overlook parking area. I kept going because I knew it was about halfway to the summit and I don’t like starting and stopping on prolonged climbs; it’s hard to get the legs going again. Besides, there was no need. I had plenty of fluids and food tucked in my pockets. descended as quickly as possible, so as to minimize how much colder I would become before the final climb. My garmin showed about 23 miles at the summit. I took turns with all the motorcyclists taking pictures in front of the summit sign. Then I slipped on my wind jacket for the descent. What I didn’t realize when I had done my ride research was exactly how much climbing the ride would entail. The total elevation gained was 5,262 feet… just 18 feet shy of a mile, give or take. Hmmm. That’s interesting considering the fact that I now reside in the “mile high city”. A city known for more than just it’s elevation, if ya know what I’m sayin‘. On the descent, I stopped and took some pictures along the way…Enjoy! So many motorcycles up there! The Beartooth Mountain range. Look closely for the triangle shaped precipice on the horizon over the upper right corner of the sign. That’s the bear’s tooth. The next picture zooms in on it. A closer/cropped shot of the bear tooth. 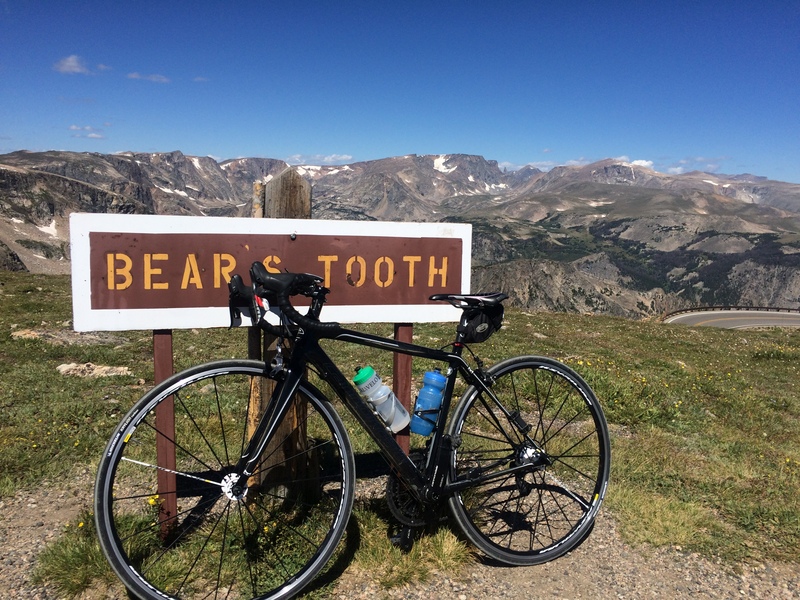 This entry was posted in Inspirational and tagged adventure, America's top 10 rides, beartooth, beartooth mountains, beartooth pass, bikes, biking, bucket list, Cannondale, Cannondale supersix evo, inspiration, inspirational, montana, motorcycling, perseverance, Women, women cycling, Wyoming, Yellowstone. Bookmark the permalink.